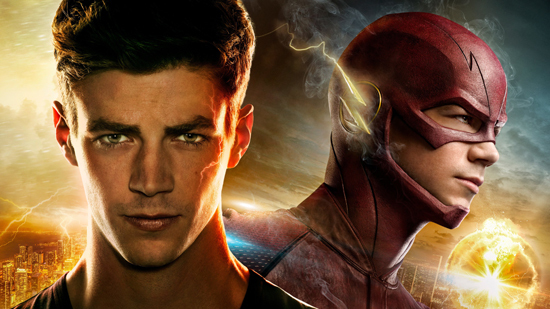 A young forensic analyst called Barry Allen (Grant Gustin) becomes 'the fastest man alive' after a laboratory explosion endows him with super-powers, prompting him to fight crime and keep his city safe from other 'meta-humans' with more sinister agendas. What made it so good? It helped that The Flash is a top-tier DC Comics character, sure, and it's made by the same folk behind The CW's excellent Arrow, but I still didn't expect The Flash to become this enjoyable so quickly. I think the main reason for its success is down to the casting: Gustin's the kind of handsome hero you can identify with as 'a normal guy in extraordinary situations', Jesse L. Martin as Barry's stepfather Joe is an undervalued joy, Carlos Valdes took one of those 'geek comic relief' roles and made you not want to chew your hand off in embarrassment, and Tom Cavanagh aced a tricky dual role as Barry's trusted mentor/secret arch-nemesis. It usually takes shows like this a whole season to settle into a groove, as the cast gel together and the writers figure out what's working, but The Flash arrived almost fully-formed and became a weekly treat by as early as episode 4. Watch this if you like: Arrow (almost essential, given the frequency of crossovers), Smallville, Supergirl, the Flash TV show form the '90s, and DC Comics. I'm counting down my 10 Best Television Shows of 2015 this year, so check back tomorrow to see what's at number 8... the whole list can be read here.